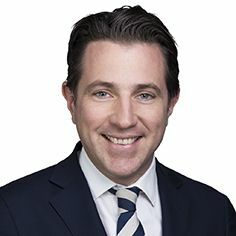 Will is a Partner based in Piper Alderman's Adelaide office. He is a taxation specialist providing state, federal and international taxation advice to a range of corporate, commercial and private clients. Much of Will’s work involves the provision of specialist taxation advice in the context of corporate restructures, business sale transactions and private client advisory. Will also advises the charities sector in relation to a range of taxation and governance issues. In addition to advisory work, Will also manages disputes with state and federal taxation authorities, and has an excellent track record in securing positive outcomes for his clients. Will’s knowledge and expertise is well recognised. He regularly authors taxation law updates and has presented papers on a number of occasions at The Tax Institute. Will has also completed a Master of Tax at Melbourne University.